Provides educators a comprehensive set of policies that support school safety efforts. 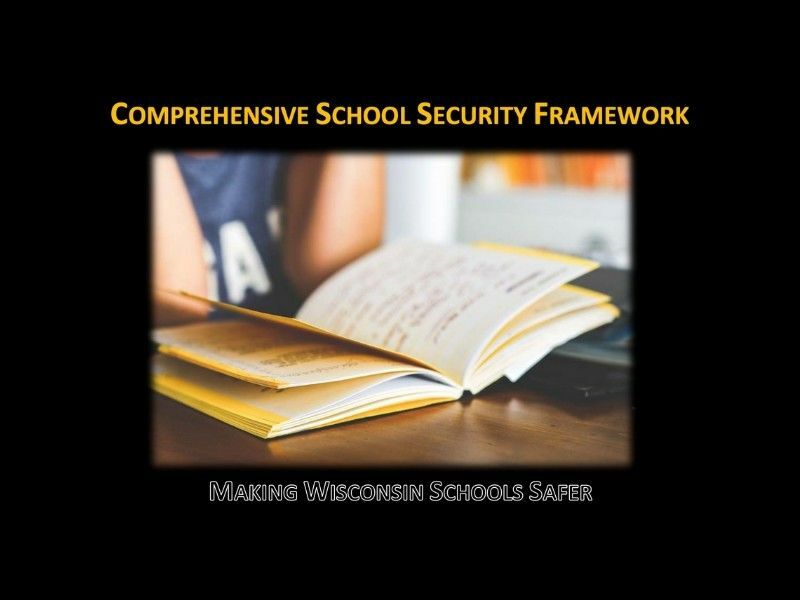 Attorney General Josh Kaul announced the release of the Wisconsin School Threat Assessment Protocol(PDF) and Wisconsin Comprehensive School Security Framework(PDF), providing educators and partners a comprehensive set of policies that support school safety efforts. The Wisconsin Department of Justice (DOJ) Office of School Safety (OSS) is also this week hosting a free school threat assessment conference for educators, behavioral health professionals and law enforcement. “Keeping our schools safe is a priority for the U.S. Secret Service. We appreciate the opportunity to have worked with the Wisconsin Office of School Safety on this initiative, which will greatly enhance prevention efforts in the state. We remain committed to furthering this partnership, and we applaud the Wisconsin Department of Justice for recognizing the importance of threat assessment and early intervention,” said Dr. Lina Alathari, Chief of the National Threat Assessment Center at the U.S. Secret Service. "These resources provide critical policies and tools to keep our students, families and staff physically and psychologically safe. These materials provide the framework to develop, improve, and implement best practices in threat assessment. Systems guidance is provided to increase the collective capacity of school and community members to recognize the risk factors and warning signs that indicate when further stabilization and support of an individual is necessary,” said Trish Kilpin, a school social worker in Greendale. “These materials empower and support threat assessment teams to make decisions, mitigate threat, and take actions, and are in the best interest of our schools and community." “The Comprehensive School Security Framework and the School Threat Assessment Protocol each provide school districts throughout the state important tools in ensuring the safety of their students and staff. The framework is an easy to use, proactive resource for districts developing a comprehensive school safety plan. Plans developed using this framework will be based on the most recently identified effective practices. The School Threat Assessment Protocol also provides a methodical approach for districts to use in evaluating and responding to potential threats making sure they are neither ignored nor handled in a one size fits all manner. When districts use this protocol, they will find they are not just identifying threatening behaviors but also the underlying causes of the behavior,” said State Superintendent Carolyn Stanford Taylor. The Office of School Safety is also holding a school threat assessment conference in Lake Geneva, Wis. this week. More than 250 educators and law enforcement from around the state will receive training from state and national exerts on how to establish a comprehensive safety framework in schools. Topics at the conference include threat reporting, school-based threat assessments, and interviewing children with disabilities, information sharing, and training from the National Association of School Psychologists on the effects of trauma in a critical incident.